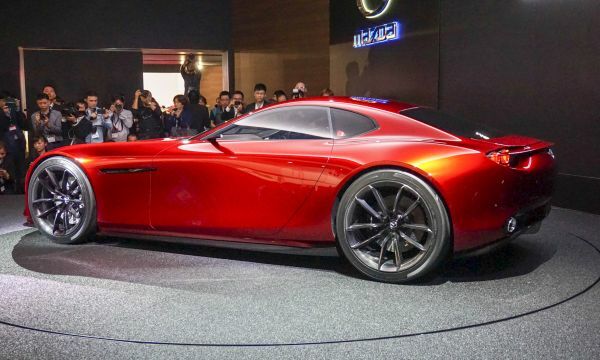 The hottest news doing the rounds is that 2017 Mazda RX-Vision Concept will be equipped with a rotary engine. Rotary engines have neither pistons nor many moving parts. Due to it, they last longer and also rev up more efficiently. But in order to make these engines meet the emission standards, Mazda will be required to be more innovative. The exterior will be based on Mazda’s KODO-Soul of Motion design language. The design focuses on making the exterior friendly to the driver. As per Mazda, the driver would be able to connect emotionally with the car. Certainly, for those looking for compactness, they would be happy to see the RX-Vision, as its width is 75.8 inches, length is 172.8 inches, and height is 45.7 inches. The dimensions make the RX-Vision look somewhat like Mercedes-AMG GT S. However, it not exactly GT S’s copy because its wheelbase 106.3 inches, which is 3 times more than that of GT S. The hood is long and low, which adds to its sophistication. The grille is what keeps the look of the front interesting. It is wide and extends to both headlamps on either side. At the rear, the taillights are placed inside a recess; this style was last seen in 1978’s RX7. Inside the RX-Vision, there is simplicity in the design of the console. The driver will face 3 gauges, parking brake lever, and a gear shifter. The 3-spoke steering wheel will not have any buttons. Bucket seats will ensure safety and comfort for the driver and passenger. The trim will be a mix of aluminum and leather. The RX-Vision that Mazda presented at the Tokyo Motor Show had the black leather background; the red stitches looked bright and made the interior quite sporty. The rotary engine is called SkyActiv-R. According to Mazda, engineers have been able to find out ways to make the engine fuel-efficient, compliant to emission standards, and more reliable. Mazda’s CEO Kiyoshi Fujiwara has also hinted that the engine could be a turbo. The performance of the car has not been rated, as the engine is yet to be built. But the CEO has stated that if the engine is built according to the available specifications, RX-Vision should be able to compete against Porsche Cayman. Meaning, the rotary engine would be able to generate close to 250hp. Price details have not yet been officially disclosed. Going by rumors, it should be around $200,000. 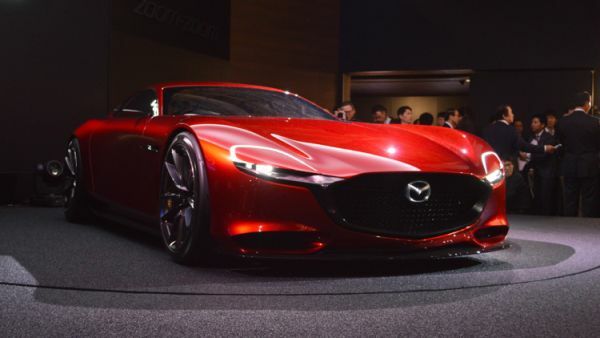 Mazda RX-Vision will be in the showrooms in 2017.